Sahaja meditation operates by connecting your individual inner Kundalini energy to the all-pervading universal energy of the cosmos. In the introductory session at Sahaja Online, your initial connection is achieved for the first time through the process of Self-Realization. After the introductory program, each time you meditate at home on your own, you reestablish this same connection. Progress in Sahaja is all about making your connection stronger over time through regular meditation. 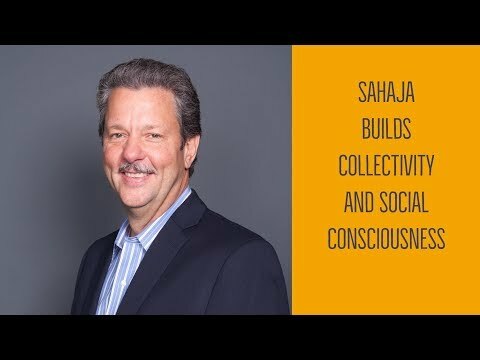 Sahaja Online offers you the best of both worlds — individual meditation and achieving the state of thoughtless awareness through the connection achieved in your daily meditations at home or online, plus the power of collective meditation. Each time you meditate, you’re in full control — whether during an individual meditation at home or during an online session. And while the benefits of collective meditation are significant, it’s ultimately your choice as to when or with what frequency you attend online meditation sessions. Sahaja works by enabling the practitioner to ultimately become the master of himself / herself by providing all the tools and knowledge available. You decide how to leverage collectivity to improve the outcomes you’d like to achieve. You measure your own progress, as well as the effects of collective meditation, on your growth. You decide whether to use meditation — and the power of collectivity — as a powerful tool for self-improvement. But it’s worth pointing out that all Sahaja practitioners report a significant increase in the intensity of their perception of vibrations, or the subtle energy flow, in collective sessions as compared to their individual meditations. It’s also very important to note that merely attending all online sessions alone may not help your overall progress. Individual and collective meditations mutually augment each other to provide the optimal benefits to every practitioner.